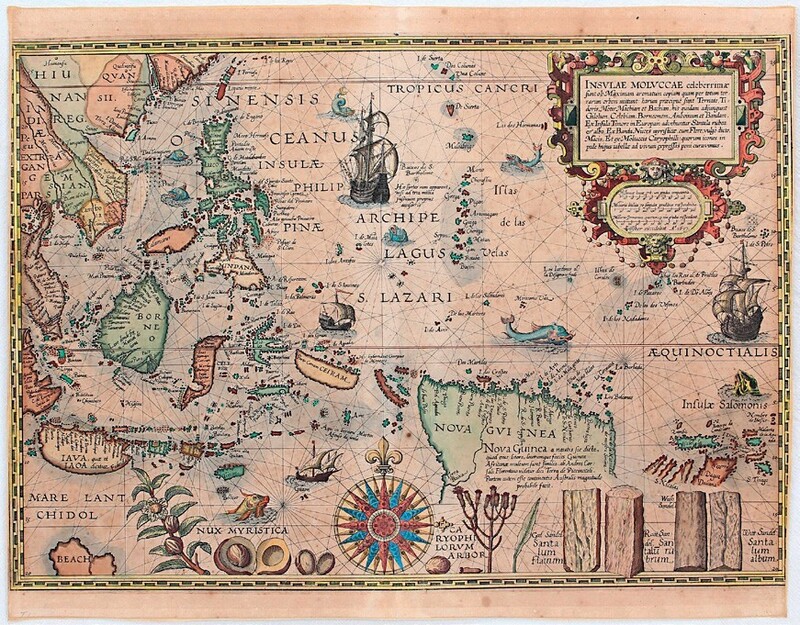 Insulae Moluccae… map sold for €38,000 (£33,670) at Reiss & Sohn. Depicting Sumatra, the Phillipines and adjoining coasts, along with New Guinea and the Solomon Islands, it also includes, in a bottom corner, a bit of Australia labelled ‘Beach’. Also depicted at the bottom of the map are the spices nutmeg and clove, along with red and yellow sandalwood. The copy in the German sale was in the third and final state. It showed overall browning and spotting and, previously framed, had its outer margins reinforced.